Far-future warrior makes tough choices, wondering whether honor, loyalty and survival are compatible. On a desert planet inhabited by ferox, ferocious alien savages, Sven Tveskoeg, an ex-sergeant in a sort of galactic foreign legion, has been flogged half to death for insubordination when the ferox wipe out the base. Sole survivor Sven, tied to the flogging-post, finds that when spurred by pain he can communicate telepathically with his captors, and so survives among them for months. Later, rescued by the legendary Death’s Head brigade, Sven comes before General Jaxx; the general, curious about Sven’s claims, can’t trust a man who’s technically a deserter. Sven ends up on Paradise, a frozen, hellish prison planet where hardened criminals and political prisoners eke out a ghastly existence beneath the ice inside the dead bodies of giant worms. With his military skills, smarts, ability to self-heal and bionic arm, Sven’s soon running the place. Now satisfied, Jaxx drafts him into the Death’s Head and sends him to yet another planet, where the Death’s Head, mercenaries and conscripts battle Emperor OctoV’s enemies, the Enlightened, humans transformed by a virus into omniscient cyborgs. Sven acquires a squad of his own but, after desperate fighting, realizes he’s been betrayed: The entire action is a feint, the soldiers mere sacrifices in an incomprehensible power struggle. Worse, most humans in the galaxy live peacefully, ruled by the super-advanced, hive-minded U/Free. Sven’s unswerving sense of honor clashes with his steadfast loyalty to OctoV: Can he and his tiny squad survive overwhelming odds, and, if so, at what cost? 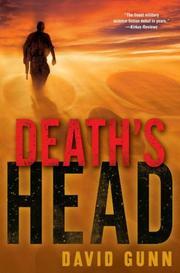 Brutal, ugly, visceral and enthralling: the finest military science-fiction debut in years.